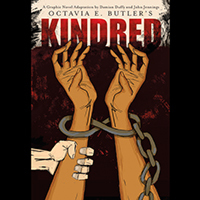 Damian Duffy, a University of Illinois School of Information Sciences graduate and lecturer, won an Eisner Award for the graphic novel adaptation of Octavia Butler’s science fiction novel “Kindred.” He collaborated on the project with U. of I. alumnus John Jennings. 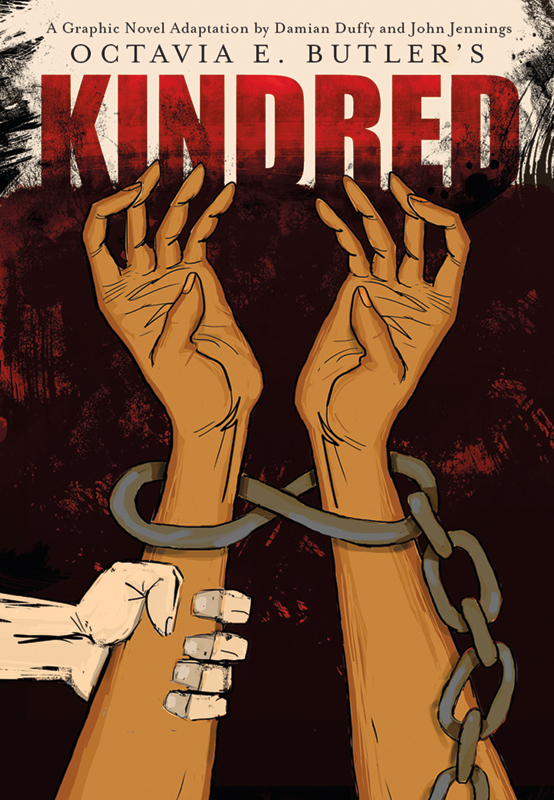 CHAMPAIGN, Ill. — Two University of Illinois alumni won an Eisner Award for their graphic novel adaptation of the novel “Kindred” by Octavia Butler. Damian Duffy, who received a Ph.D in library and information sciences from the U. of I. and is a lecturer in the School of Information Sciences at Illinois, and John Jennings, who received master’s degrees in art education and graphic design from the U. of I. and is a professor of media and cultural studies at the University of California, Riverside and a former Illinois faculty member, collaborated on “Kindred: A Graphic Novel Adaptation.” They met at Illinois and have worked together for nearly 15 years, producing original comics and curating art shows. Duffy and Jennings received the 2018 Eisner Award for Best Adaptation from Another Medium at the Will Eisner Comic Industry Awards on July 20 in San Diego. The Eisner Awards recognize the best comics, graphic novels and books about comics from the previous year. The awards are often described as the Oscars of the comics world. Butler’s science fiction novel depicts a young black woman’s time travel between her home in California in the 1970s and a pre-Civil War plantation. Duffy and Jennings had been interested in adapting the novel for several years when they were selected for this project. One of the biggest challenges was deciding how to pare down the book to fit the smaller page count of a graphic novel format. “Octavia Butler is really beloved by her fans. She’s a MacArthur genius grant winner. Who am I to chop up her work?” said Duffy, who wrote the script for the graphic novel. 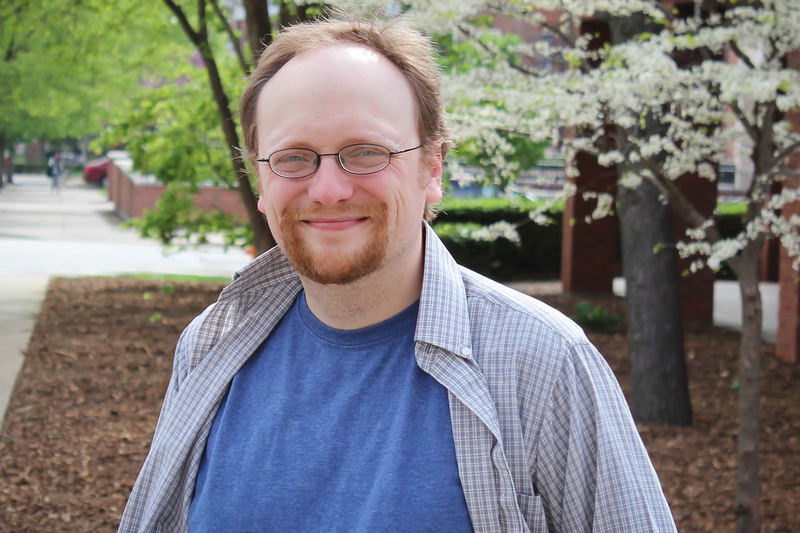 He worked to eliminate any details that were repeated in an image or that weren’t fundamental to the main plot points, in order to transfer the essential spirit of the story to the graphic novel medium. He and Jennings – who drew the images – also talked about how to portray the different time periods of the story visually, and how to “portray the horrors of slavery without going over the top so it becomes too hard to read,” Duffy said. “How to portray that in a visual medium is something John and I both struggled with, especially one of the first scenes where someone is whipping a slave. The adaptation won the 2017 Bram Stoker Award for Best Graphic Novel, and was selected by the Institute of Contemporary Art as its 2017 book club pick. Duffy and Jennings are working on a graphic novel adaptation of another Octavia Butler work, her “Parable of the Sower” series. Editor’s note: To reach Damian Duffy, email dsduffy@illinois.edu.